Nadia Costa was one of the two artists that performed at the Sala Zitarrosa when I presented my newest book, “Ayer La Lluvia” [Yesterday The Rain]. The book is made up of short stories and a novella that deal with different types of love. So, her music was a perfect match for such a title – all of her compositions are nothing but studies on the vagaries of love and affection. 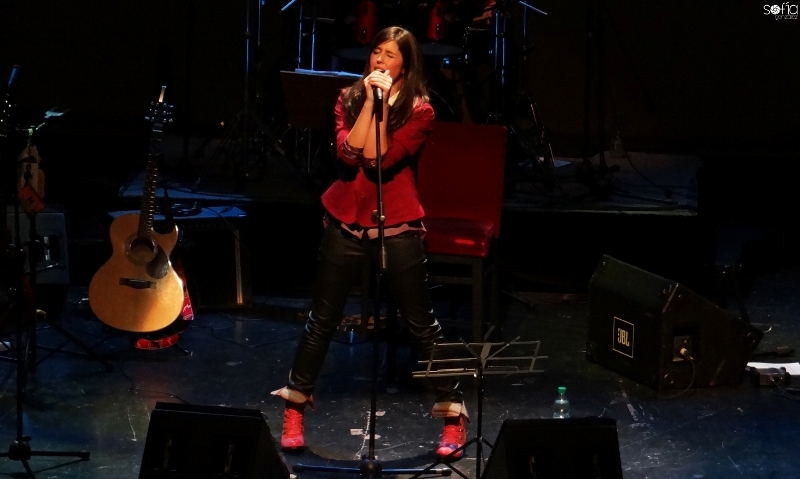 She opened up the show that night and had her live debut as a solo artist on the prized Sala Zitarrosa, a venue reserved for the highest-ranking of performers only. This is an excerpt from her live performance. The song is titled “Extrañándote” [Missing You], and it’s one of the compositions of hers that cut the deepest. For me, it works in parallel with “Lejos De Ti” [Far Away From You], a scorching ballad that is highly-likely to be her next single. The clip was shot by Habemus, a new audiovisual team. The music itself was recorded live by producer/composer Nelson “Cable” Silvera, and our great friend Joaquín Vinci lent us a hand, and gave the sound a little more sheen overall.